Running the Bars” is a simple, non-invasive, very gentle energy process which releases old stuck energy in the brain and body. It works by gently touching these 32 points on the head that correspond to different areas of our lives in order to dissolve barriers, old stuck energy tin order to allow for tremendous and easy change in your life. This is an incredibly nurturing and relaxing process, undoing limitations in all aspects of your life. Having your Bars run will allow change old patterns and beliefs so you can live a happy, healthy life! The Bars takes all the considerations, thoughts, feelings, emotions, decisions, judgments, and beliefs from any lifetime, that are electrically stored in the brain and releases them. This release occurs when the bars are touched; it allows all the negative staff that is stored to be released.Similar to when the lights go out in your house and you flip the circuit breaker or trip switch so the lights come on: having your bars done allows your energy to be reset and cleared. Running the bars opens the parts of the brain that is not activated due to blocked consciousness and by pressing these points that part of the brain is activated to open and let that part of consciousness open and unlock itself.Therefore energy of the universe becomes available to you and this often results in more peace, ease, joy and glory in life. 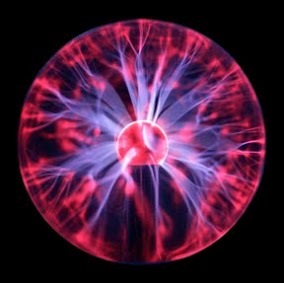 Several doctors who are experts in biofeedback have reported changes in their brain waves, going from beta to much more relaxed theta waves in the course of a one hour session. Most people like to have their bars run at least once a week, or whenever they feel stressed, tired or out of sync with their lives. After any kind of major shock or trauma or energetic shift of any kind it is a good time to consider having your bars done but you can do it anytime. It is ideal to be proactive and do bars sessions as often as possible to constantly clear old energies stuck in our consciousness. Usually a Bars session can last 60-90 minutes although this can vary and it is always better to do Bars even if it’s just for 30 minutes. What to expect from having your Bars done? Every Bars session is different and there is no way to predict exactly what will “happen.” The guideline that best applies is that the worst you will feel is like you had a great massage, you’ll feel restored and rejuvenated. The best that can happen is your whole life can change. Everyone who is willing to lie down can benefit from having their bars done. Some people may not value the experience of relaxation but most people who have an interest in changing and improving their lives and are committed to their well being. 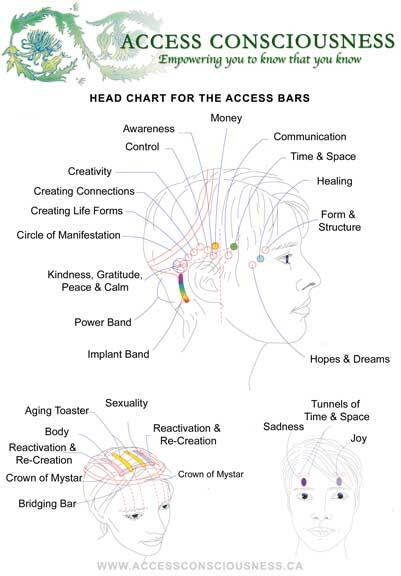 Are the Bars like Reiki or Cranial-Sacral work or Acupressure points? While the points may appear to be similar to cranial-sacral or acupuncture points, they have a different function when done as part of the Bars. The changes that are created by running your Bars are very unique.In conclusion running the bars has the potential to shift the places where limitations are created by opening up to receiving new and more possibilities in all areas of life.